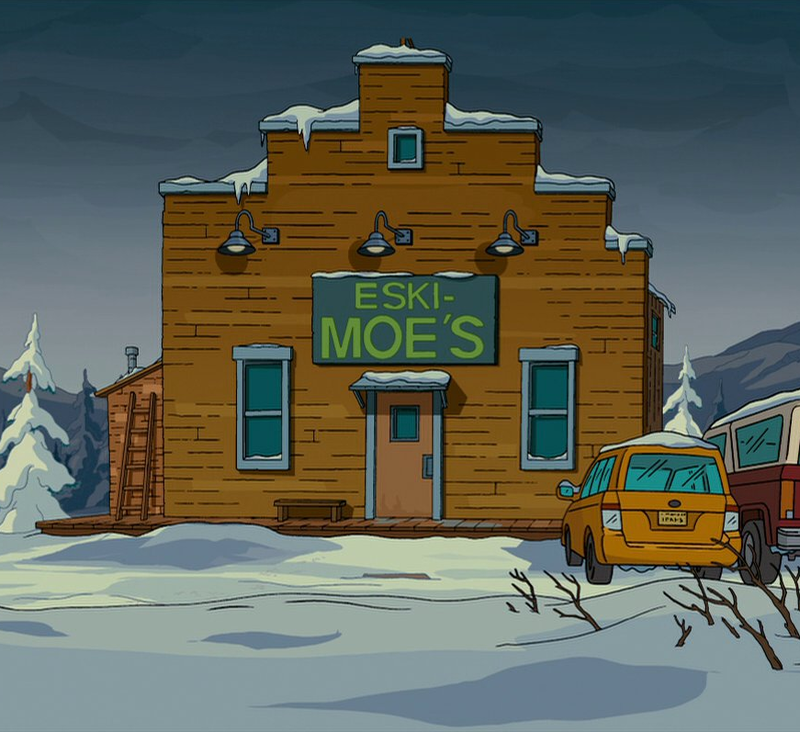 Eski-Moe's is the Alaskan equivalent to Springfield's Moe's Tavern. 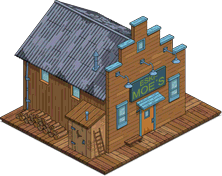 While the Simpson family were on the run from the Environmental Protection Agency, they hid out in Alaska for a time and Homer made Eski-Moe's his new watering hole. In addition to drinking beer at the bar, he played the video game Grand Theft Walrus. The bar's name is a portmanteau of "Eskimo" and "Moe's Tavern". Modified on January 4, 2018, at 09:16.